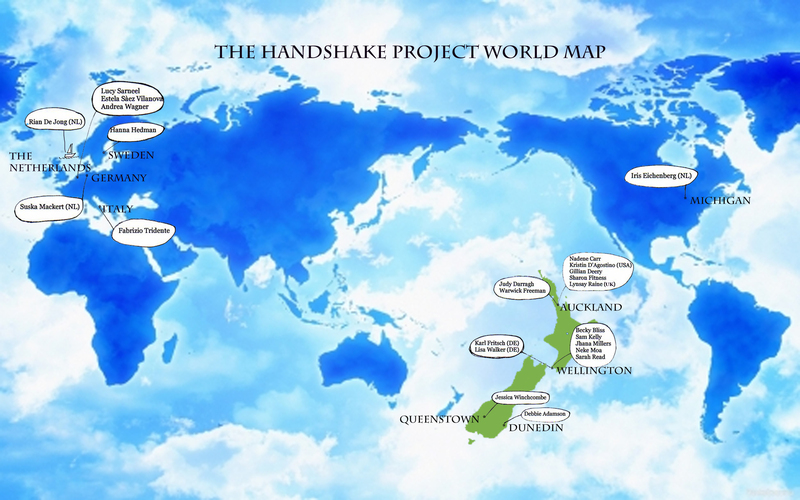 The HANDSHAKE1 project began in February 2011 and was ongoing until 2013 with exhibitions in NZ and beyond. HS1 had two stages: the first was to develop ideas and work with the feedback of their mentor for a series of exhibitions, and in the second stage the mentor became their collaborator for the Objectspace exhibition in Auckland. HS1 was the pilot for the HANDSHAKE project as we know it. 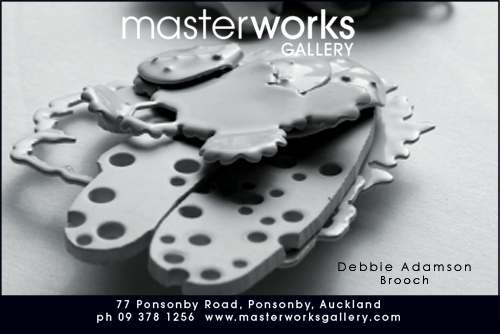 Early 2010 Peter Deckers was asked by Studio 20/17 Gallery, Sydney to curate an emerging NZ jewellery exhibition that opened in the last quarter of 2011. There was ample time to build upon ideas and making developments – but how to manage that on a professional level? Graduates from NZ jewellery educations experience a rough ride after they finish their art studies. The informed feedback stops and often is replaced by the feedback of friends and family. The three years of study is in most cases not enough for the development of a solid art practice. Peter has seen talented graduates using their creative skills solely to overcome daily life pressures and chores. The HS thought is to give these talented graduates numerous professional opportunities that overcome this by providing a supportive, like-minded mentor and an exhibition programme that allows creative experimentation and safety. The 2 staged HS1 model worked well and attracted new funding for other HS projects who were fine-tuned to give optimum professional opportunities and support. This newly developed model based on HS1 experience made possible that under a protective HS umbrella experimental work can be developed over a series of national and international exhibitions. This will give the HS artists numerous opportunities to tap into a wider international network that aligns their art practice. 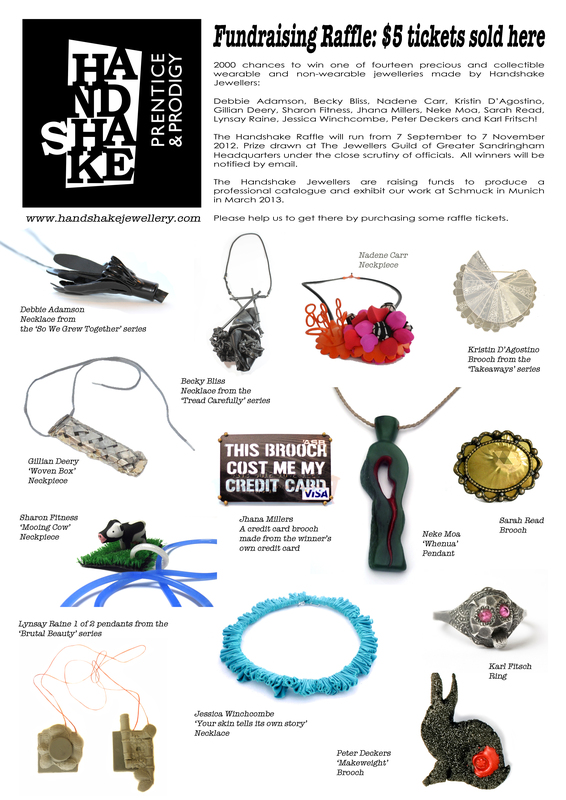 The final exhibition of the 3-year HANDSHAKE 1 project is a collaboration between the Handshake mentee and their mentor exhibited at Objectspace 15 June 2013 – 20 July 2013. Each artist pair made-up their own rules and many did not play it safe. The final exhibition of the 3 year HANDSHAKE project is a collaboration between the Handshake mentee and their mentor, at Objectspace 15 June 2013 – 20 July 2013. Each artist pair made-up their own rules and many did not play it save . See how they all shook it up……. HS1 mentee Sharon Fitness and mentor Lisa Walker talk about their experiences in the Handshake Project. The Handshake 1 show at the 2013 Handwerksmesse was a fantastic success. We were very privileged to have ten Mentees, seven Mentors and Handshake organisers Peter and Hilda in Munich and a great time was had by all. Thanks so much to Creative New Zealand and all our supporters in the Handshake 1 Raffle and Pledge Me campaigns for helping us to get there. We really appreciate it! The handshake raffle kicks off today. 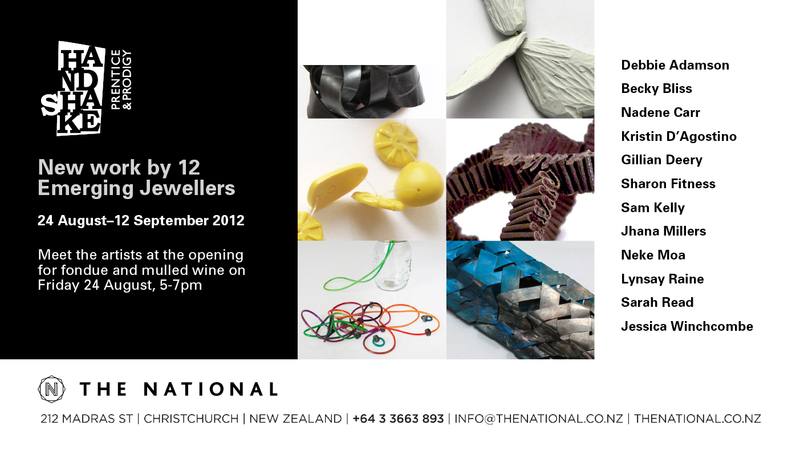 Fourteen wonderful jewelleries are up for grabs at only NZ$5 per ticket. Email handshakejewellery(at)gmail.com to get your ticket now. We can accept paypal, bank transfer and old fashioned cash payments. We are raising funds to take this show on the road to Schmuck and create a fabulous publication. Thank you for supporting this worthy cause with full enthusiasm! Handshake is the brainchild of contemporary jeweller Peter Deckers who, at the beginning of 2011, brought together 12 graduate jewellers with the artists that most inspire them for an innovative mentorship program. The 12 ‘apprentices’ teamed up with their jeweller icons, exchanging images and ideas through the Handshake website. The collaboration has resulted in a series of local and internationally based exhibitions, this being the first to come to Auckland. 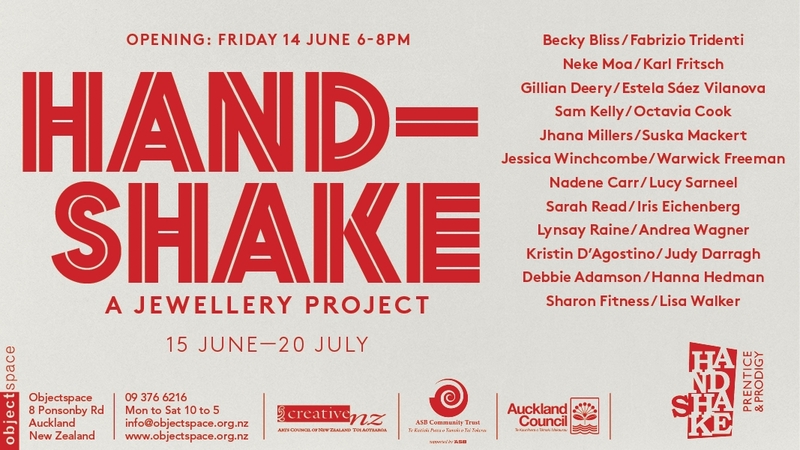 Visitors will experience excitingly fresh and provocative new work by Debbie Adamson, Becky Bliss, Nadene Carr, Kristin D’Agostino, Gillian Deery, Sharon Fitness, Sam Kelly, Jhana Millers, Neke Moa, Lynsay Raine, Sarah Read, and Jessica Winchcombe.